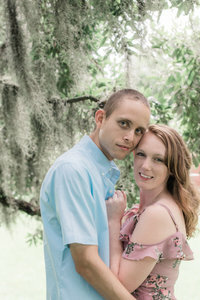 After rescheduling for rain, we finally met with Lacey & Jonathan in February for their engagement session! It was our first time photographing at Pleasure House Point Engagement session and we loved it! We pretty much had the place to ourselves, it was such a serene environment. We loved talking about all the things, especially for our mutual love for Busch Gardens and riding roller coasters! They are getting married in Sandbridge tomorrow and we couldn’t be more excited for this fun-loving duo!